A remarkable and authentic holiday home in Zelhem due to the rich history of this municipal monument. 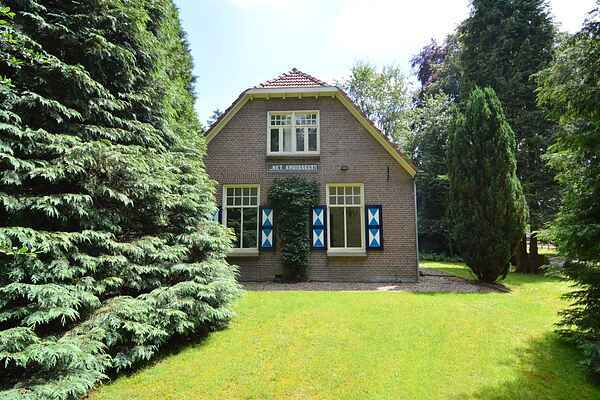 The holiday home is a former ranger's house dating back to 1920 and is located at the edge of the woods of the 't Zand estate in Zelhem. The holiday home has a large garden in which you can hear many birds chirping. From the garden you can directly start your forest walk. The house has an authentic kitchen equipped with all modern, luxury appliances. The house has a sitting area and a wood-burning stove. Due to its rural location, the TV-signal can be unreliable, which is why there's also a DVD-player present. On the terrace you can enjoy the view of the enormous garden and fully unwind with all the nature surrounding you. Zelhem is known as the green heart of the Achterhoek, where you can enjoy peace and space. You can take beautiful walks and cycling trips in the region. Bronckhorst, the municipality that Zelhem is part of, is marked as the smallest city of the Netherlands. Here you can find many restored farmhouses now functioning as galeries, shops, or restaurants. Other Hanseatic towns like Doesburg, Zutphen, or Deventer are also relatively close by.